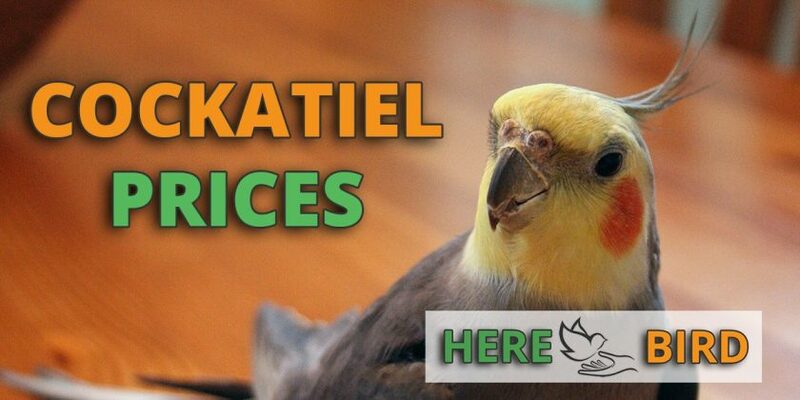 Cockatiel Prices: How Much Are Coaktiels Going To Cost You? Cockatiel Prices: How Much Are Cocktiels Going To Cost You? Cockatiels are a relatively small and popular pet bird that has a sweet personality with lots of energy. Coming from Australia, in terms of size, these birds are 12 to 13 inches in length (30 to 33 cm) and weigh about 3 to 4.4 ounces (85 to 125 grams). Whilst more expensive than budgies, cockatiels are also less expensive than most other pet parrots. What is the price of a cockatiel? For the standard cockatiel, you are likely to pay around $150. 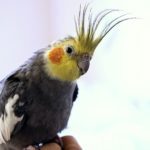 However, these cockatiel prices can vary from $80 to $250 and depend upon the breed, age, mutation, health, and personality of the bird. What are the prices for different breeds of cockatiels? Lutino Cockatiel Prices will range from $150 to $250 and also go by the name of yellow cockatiel. Pied Cockatiel Prices will start costing you about $110 and can go all the way up to $170. Cinnamon Cockatiel Prices are likely to be in the range of $130 to $160. White Cockatiel Prices charge the rates of $200 to $300 and also get called Albino Cockatiels or White Faced Cockatiels. Pearl Cockatiel Prices usually range in the price of $150 to $200. These differences between breeds of cockatiels are generally only in terms of color and they will have similar personalities to normal cockatiels. Other factors that affect the cockatiel price are the genetic lineage plus whether there are any blemishes or marks on the feathers of the cockatiel. Usually, you can get a discount when buying a breeding pair or two birds together. To find the genetic lineage of the cockatiel you’d have to do a DNA test, which can also scan for any potential hereditary diseases. What age is the best price for buying a cockatiel? Age will affect the price of a cockatiel. Cockatiels will generally live to around 15 years (or more with proper cage). However, the best time to buy a baby cockatiel is after it is weaned and is now strong enough to move into a new environment. This will also be the time when the cockatiel is the most expensive and they’ll become cheaper as they become older. Because of this, you’ll find that you can adopt many older cockatiels or ones that perhaps have blemishes or marks on them. Both male and female cockatiels go for around the same price and you can determine male cockatiel because they have a brighter yellow head vs female cockatiels which have a greyer face. If this is not clear from the appearance then DNA gender testing can be used. When and where should you buy a cockatiel? Prices of cockatiels will change depending upon the location that you live in. They are more affordable in Australia where the species is native to. Because cockatiels are very common and not endangered there are few regulations or licenses required for breeders and sellers of these birds – which means the price is lower than most other pet parrots. You’re likely to see a spike in the prices of cockatiels before Christmas, whereas you’re likely to see this price drop if a breeder has a large brood just after the breeding season. If you’re considering buying a cockatiel, you’ll need a travel cage to pick up your bird. However, cockatiels can be shipped in certain airlines and so can be delivered to your home. Usually, breeders will lay out the details of how this can happen and may provide you with a travel cage as part of the sale (check the details to see if this is covered). When picking up by yourself then also factor in the cost of fuel to get to the breeder and return home. Because cockatiels are so common they are not a species of bird that require much regulation or licensing. However, you should still look out for breeders that are members of bird associations and also you should check the reviews online of any breeder to ensure that their name and business has a good reputation. You’re likely to see cockatiels with rare color mutations costing a lot more. However, if the bird is being sold at a much higher price and for no apparent reason then you should be extra cautious in case this involves a scam. Double check any claims that are being made about the genetics of the bird or insist on a DNA test. On the other hand, lower prices could indicate sickness or poor health with the bird, so be cautious on the other end as well. Cockatiel cage costs – you can get very cheap and small cockatiel cages for around $90. However, we recommend against these and a properly priced cage is likely to cost you $120 to $200. See our full guide to cockatiel cages here, especially with regards to choosing the correct size and bar spacing. Backup travel cages – required so you can temporarily transport the bird to and from the vet. These cages cost about $50. Perches – cockatiels will require a few perches of varying sizes to promote exercise and good foot health. These in total are likely to cost another $20 to $30. Toys – to keep your cockatiel entertained will cost another $20 or so. Foraging toys are a particularly good idea. However, you can create DIY Bird toys. Insurance for cockatiels is lower than most other exotic pet birds but is still recommended to cover the costs of any potential emergencies. Food costs will cost you weekly and you can expect to buy cockatiel food bags for around $10 to $30, depending upon the quality and size. Cleaning costs are another minor expense and you may need to top up your supplies every so often for around $10 to get bird safe cleaning products. Cockatiel cages and supplies will take up a small amount of space in your home and so shouldn’t be kept in small apartments. These birds require attention and socialization and so you should give them an hour or two of interaction each day. During this time you may want to let them out of their cages to exercise after you have ensured windows are closed and they cannot escape from the house. They also shouldn’t really be left on their own and instead should be mixed with other cockatiel or birds such as budgies to prevent loneliness. Where is the best place to buy cockatiels from? Always check the reviews and reputations of the breeder when going from an independent source. 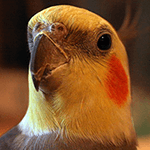 Overall, cockatiels make an affordable and good introduction to keeping pet birds thanks to their friendly nature, relatively low costs, and small size. However, ongoing costs for these birds can add up over time and they can live for decades to keep this in mind before making a purchase. Also, adoption of cockatiels from a bird shelter is another possibility though these birds do tend to be older. Plus remember that one of the biggest costs for any pet bird is giving it the time, attention and patience required for it to live a happy life. Cockatiel Cages – guide on buying the best cage for your pet cockatiel. Lutino Cockatiels – species specific guide to looking after this mutation. Parrots Cost – covers a range of prices for different species of pet birds.